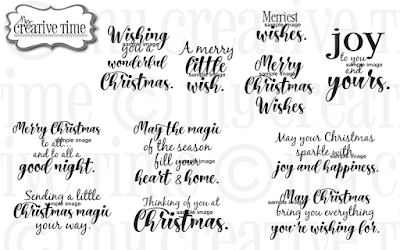 My Creative Time: MCT 84th Edition Release Blog Hop & Sale! GOOD MORNING my sweet friends & welcome to our 85th Edition Release Blog Hop & Sale!!! Everything we showcased this week is available for purchase now HERE! Don't forget to use the code: NOV2018 to get a discount off of your entire purchase. Sale applies to "in-stock" items only! Starting on Friday, November 16, 2018 @8am PST, I am going to have random.org choose a winner! The winner will win the "86th Edition ENTIRE Release!" Random.org will choose a winner from the FIRST 50 shoppers that come through on Friday, November 16, 2018 starting at 8am PST! GOOD LUCK my sweet friends! Last, but not least....don't forget that our sale is going on right now HERE! Use the code: NOV2018 at checkout to receive a 15% discount off of your entire purchase! This sale applies to "IN-STOCK" items only! Sale will end on WEDNESDAY, November 21, 2018 @midnight PST. 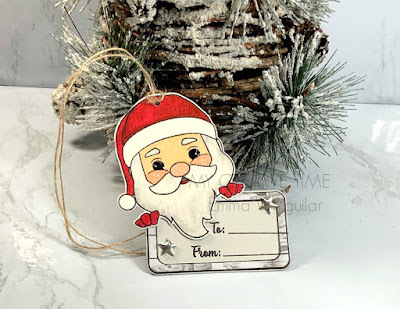 Absolutely adorable Santa tag! I really love the sentiment too! Off to hop for todays hop! The Santa tags are so adorable! Awesome release! GOOD MORNING Miss Emma...HAPPY 84th Release Day!! OMG What a Release...Loving all of your Fabulous and Cutie Creations Your Santa Tags are Adorable....can't wait to make them and your Fur Baby Creation is so precious!! Can't wait for my goodies to arrive!! 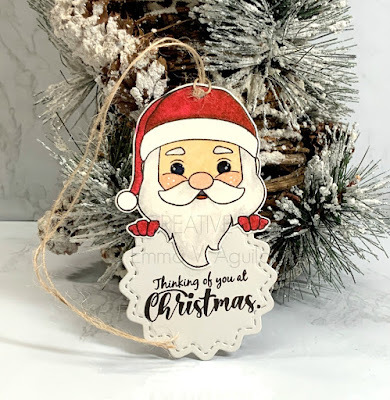 Once again you've outdone yourself...as you spread the Christmas Craftabulous inspiration one creation at a time with your Fab goodies!! Wishing your A Fabulous Friday!! YOU so ROCK!! 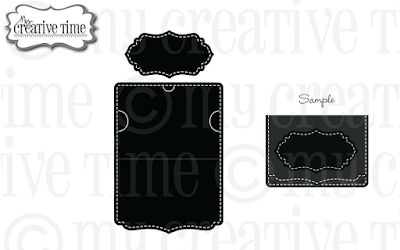 Fabulous new items! Love the Christmas Wishes set! I missed out on all the sneaky peeks since I was away from home.... just got home from Disneyland! 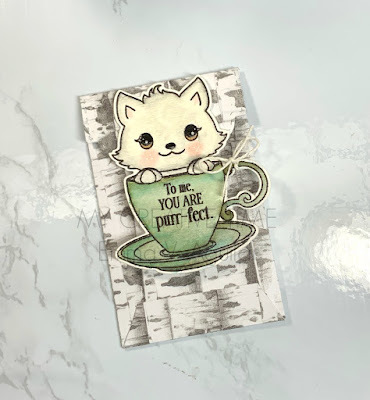 Love these adorable projects and looking forward to seeing the creations on the hop! Everything is just wonderful and so purr-fect for Christmas time! Love everyone's creations the past few days. 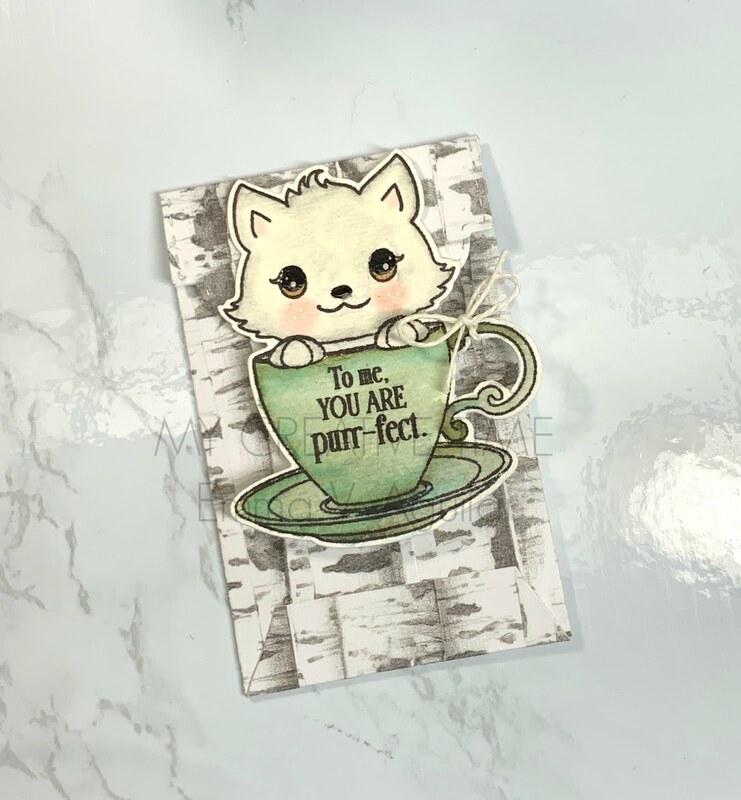 I think the kitty in a cup is my favorite image; she's just so sweet! And the puppy's face melts my heart. What beautiful and cute release, I think the DT's projects are purrrrfect. Wow! therse are beautiful! You did a great job! 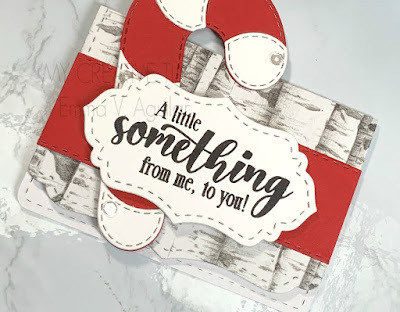 I love the little Santa!!!! Great release. 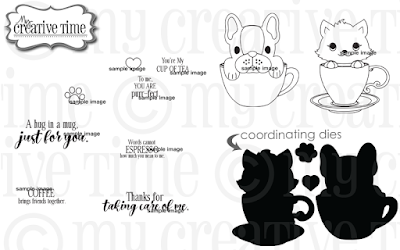 Love the cute mugs set. I really liked this new release Emma! I made my purchase 1st thing this morning before I ran out to do my errands and head to work! I LOVE the sentiments!!! I really like your gift card holder... I totally forgot I have that candy cane die! I need to pull it out and create something with it, and your tag is lovely with that cute Santa! I'm looking forward to my new goodies! Have a wonderful weekend! Loving this whole Christmas release! 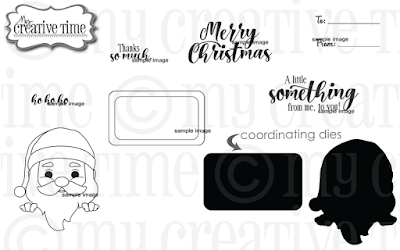 :) So many adorable makes created by your design team. I love this beautiful release with all the adorable projects!! Off to hop!! 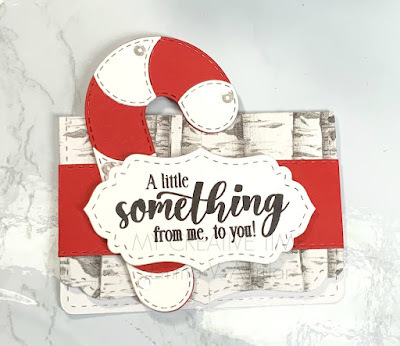 Such a fun blog hop filled with wonderful inspiration! Thank you!! You have made such adorable holders and tags all week as has your amazing team...so much inspiration and cleverness! What a wonderful release! Such a darling release!, I love all of it! Such a fun and festive release! Your projects are darling!